From Monday 15 April: A rapidly growing movement known as 'Extinction Rebellion' is calling on all of us who care deeply about the Earth and her inhabitants, to take a stand, now, before it is too late. We are being asked to come to London from Monday onwards to help block Marble Arch, Oxford Circus, Waterloo Bridge & Parliament Sq around the clock until the Government acts on the Climate Emergency. It is an ongoing, creative, street festival style action with theatres, famous actors, bands, musicians, artists from across the country getting involved in this non-violent civil disobedience movement - the biggest this country has ever seen. Scientists are now telling us we have 12 years to radically turn things around before it is too late. 12 years... We know there are always a million causes for us to support and stand up for, but this is surely THE ONE of our lifetime. We don't want to hear our children and grandchildren asking us why we didn't do anything when we still had a chance. The numbers of people who turn up to join on the streets is critical to help make this happen and to force the Government to take climate change, ongoing destruction of the natural world and species extinction seriously. Please come along with friends and family - and share this invitation with everyone you know. If there was ever a time to reach out to your contact list, it is now. The plan is powerful, creative, and deeply moving.. There will be areas that are particularly suitable for families with children. 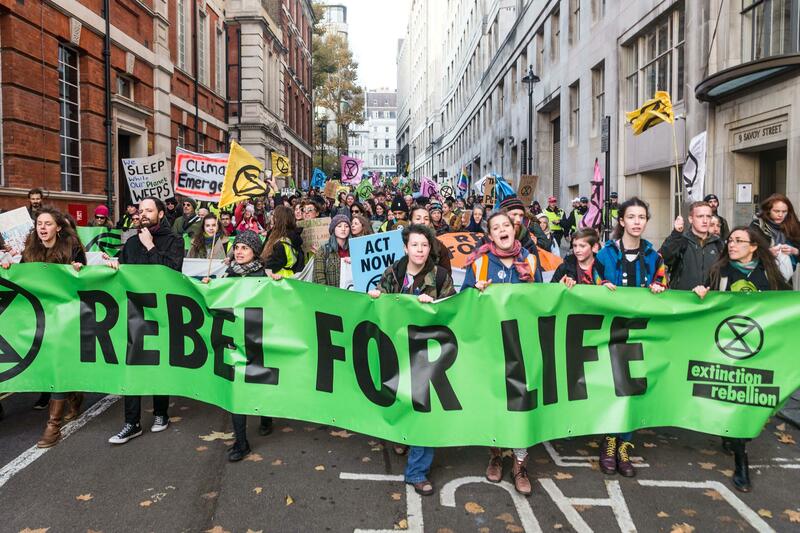 The London actions are part of the wider rebellion taking place across the UK and around the world, with Extinction Rebellion currently having 331 groups in 49 different countries. We will be joining the throng all of this week, starting from 7pm this Sunday 14 April, when Dr Rowan Williams, former Archbishop of Canterbury will join people of all faiths and beliefs and none at St Paul’s Cathedral to honour those about to take part in the International Rebellion in London and beyond. All are invited.